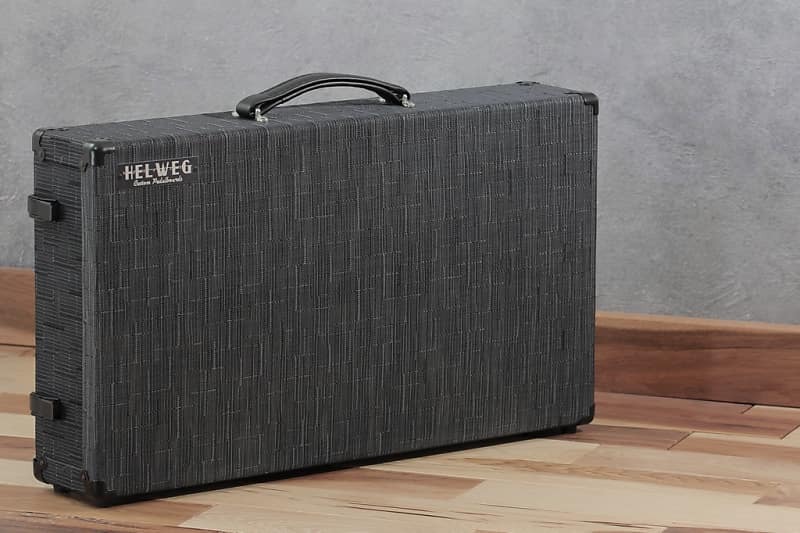 This one has a special place in Helweg pedalboard history. 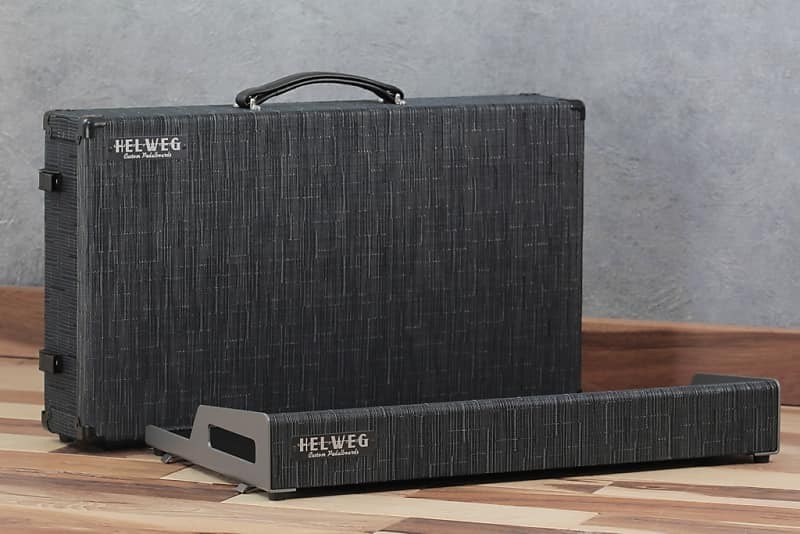 It's the first prototype of our now twice-patented OpenWing pedalboard and matching Helweg Signature Case. It was built in 2015 and is serial numbered PRO 1. It has spent most of it's life sitting on the shelf in plastic wrap. It has some shelf wear including a couple scratches in the black lacquer top, but has never been set up or used with pedals. It comes with our standard 3-year warranty. The Pedalboard deck is constructed of 1/2" cabinet-grade Baltic birch plywood. The surface is coated with black lacquer. 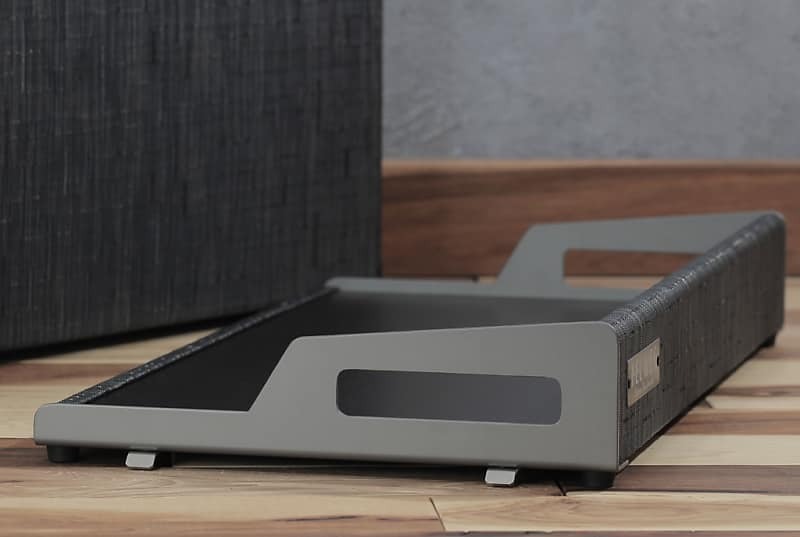 A 1/2" poplar back brace and our exclusive aluminum side wings add light-weight rigidity and surround and protect pedals, while allowing integration of features not normally possible on a flat pedalboard design. 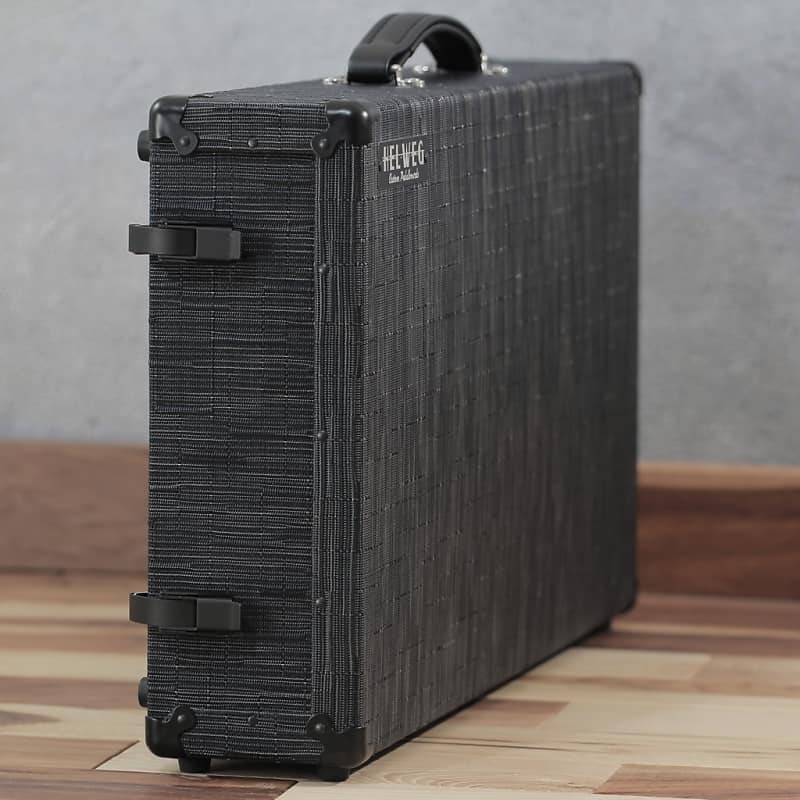 This pedalboard is covered with an industrial woven vinyl fabric made in the USA. It features a beautiful navy colorway that we only used on a few OpenWing boards before the color was discontinued by the manufacturer. 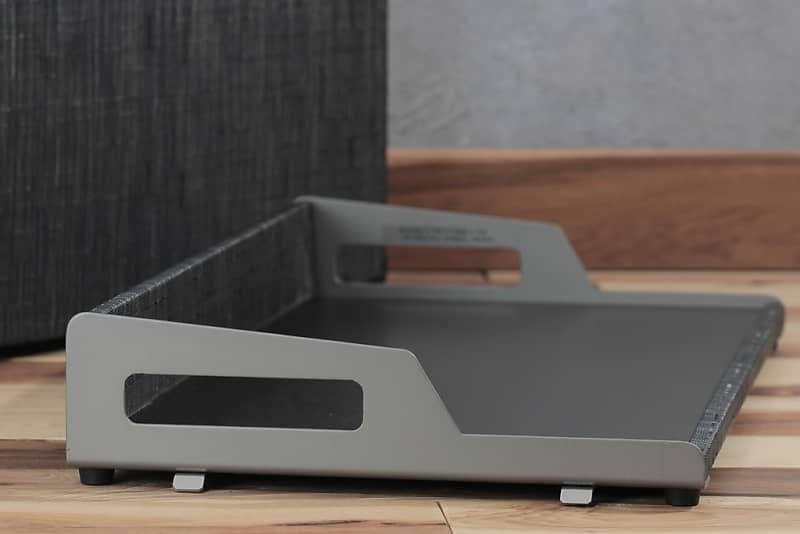 The aluminum Wings feature a gunmetal color hard-coat anodize finish. 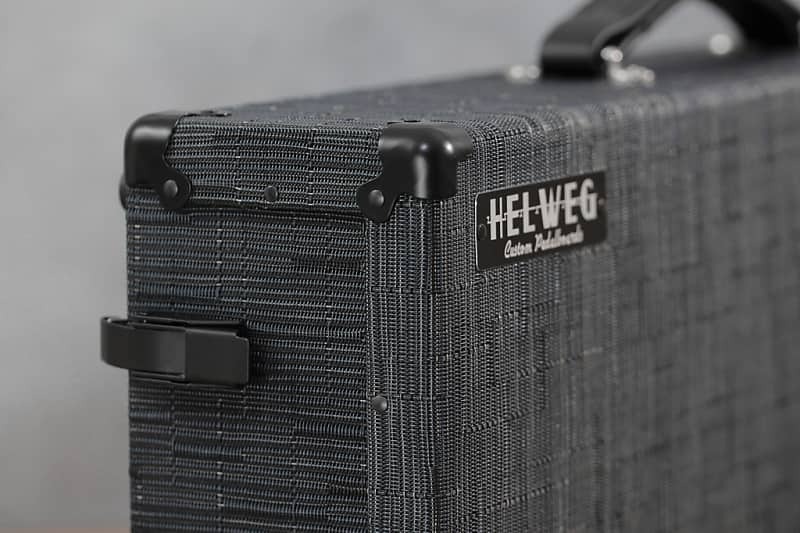 Pedalboard height (including rubber feet): 3.6"
Our Signature Case is styled after classic nineteenth- and twentieth-century suitcases but is constructed of robust modern materials, including a molded ABS shell and woven vinyl upholstery. Each of the 34 rivets are hand drilled and hand riveted. 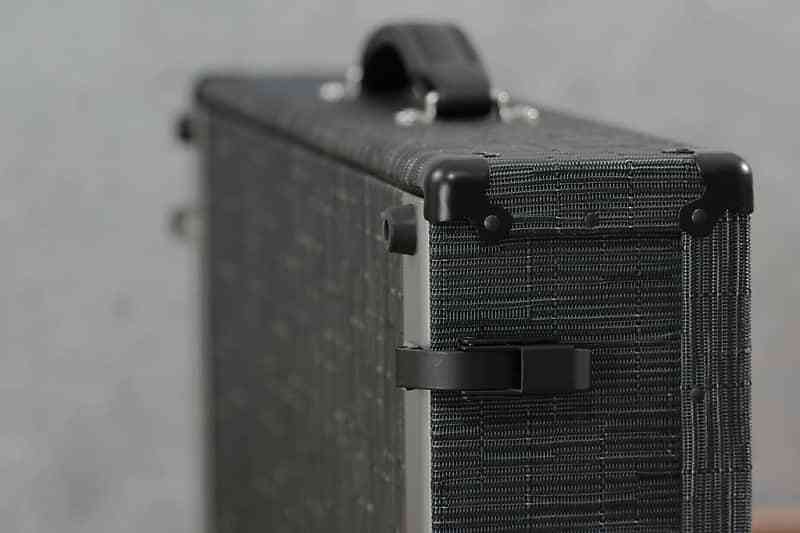 The pedalboard functions as the back of the case and is locked in with four steel latches. 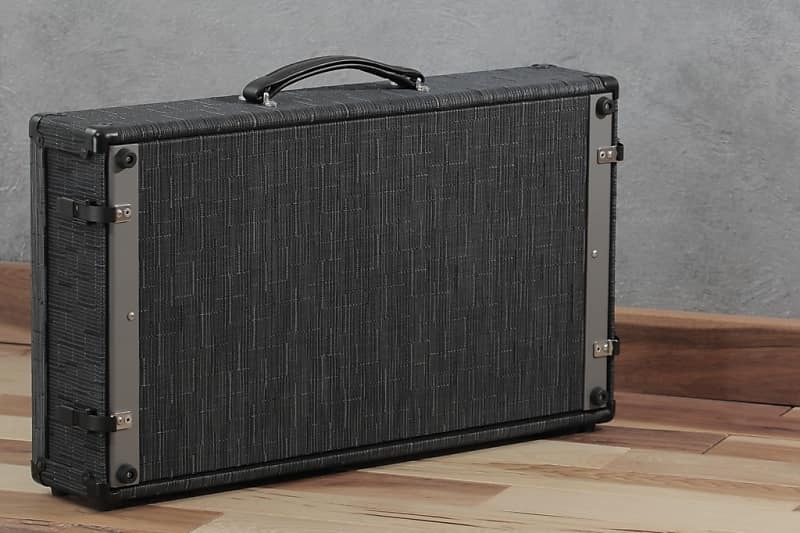 This is the only Signature case to date that features black metal corners. Case height (floor to top of handle): approx. 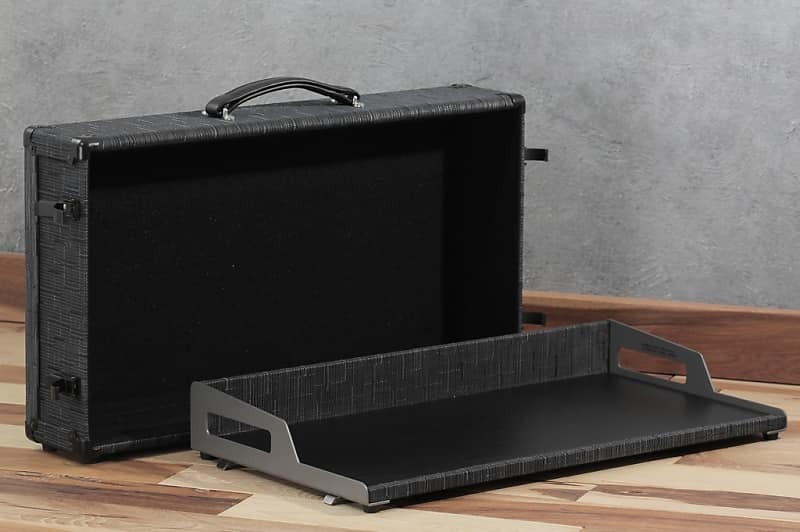 16"
Case length (latch to latch): 25.5"
This pedalboard does NOT have an IEC connector (as seen on other OpenWing boards). Be sure to check out our Reverb shop for more special offers and other original products, including our screw-mount pedal brackets and risers. 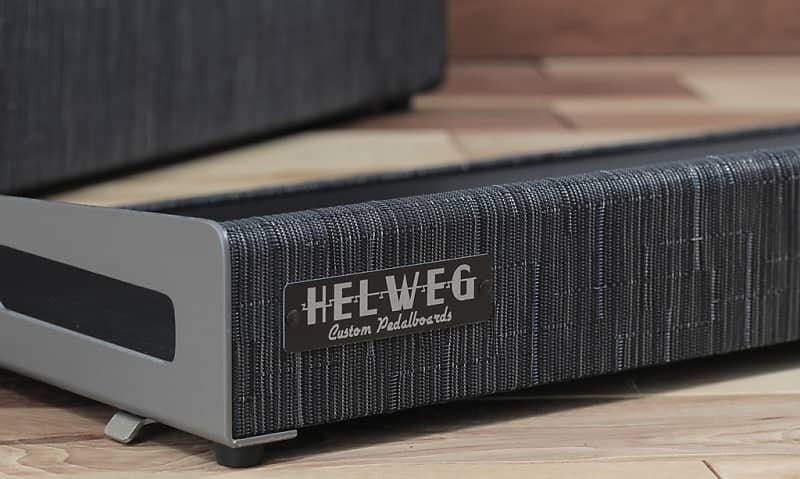 All Helweg Design pedalboards are handcrafted in Lawrence, Kansas, USA. I will ship with tracking to the listed regions. To negotiate shipping rates to other locations, please send us a message.